He played Billy in Easy Rider, the Photojournalist in Apocalypse Now, Frank Booth in Blue Velvet, and Shooter in Hoosiers -- where do you rank the late Dennis Hopper among the great supporting actors in Hollywood history? Of course, Hopper was many things in his life: an actor, a director, a photographer, an artist, a screenwriter, and an activist. He was also an addict, a loose cannon, a bad boy, and a troublemaker. Hopper wasn't fated to be a leading man, but at his best he was one of the great supporting actors ever seen on film. 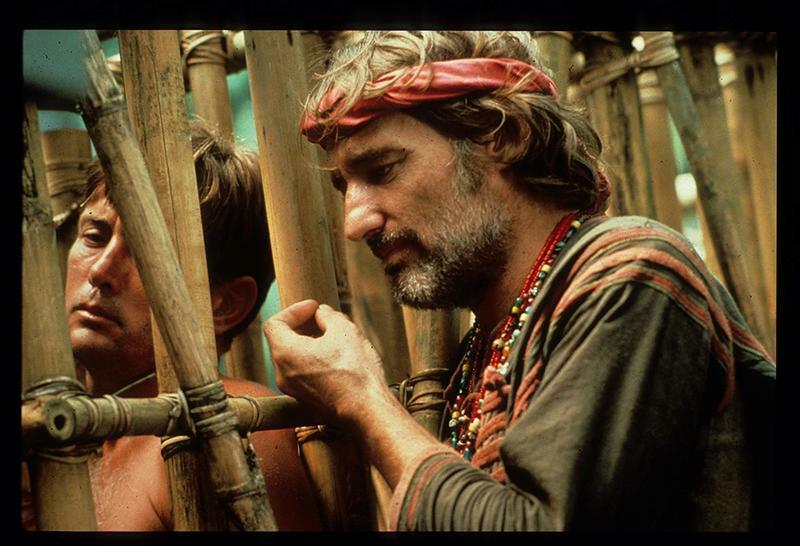 Perhaps because of the tumultuous life he led, Dennis Hopper was a supporting actor who brought needed electricity to his scenes. And if he sometimes stole those scenes -- well, the guy was just that good. What are you gonna do about it? 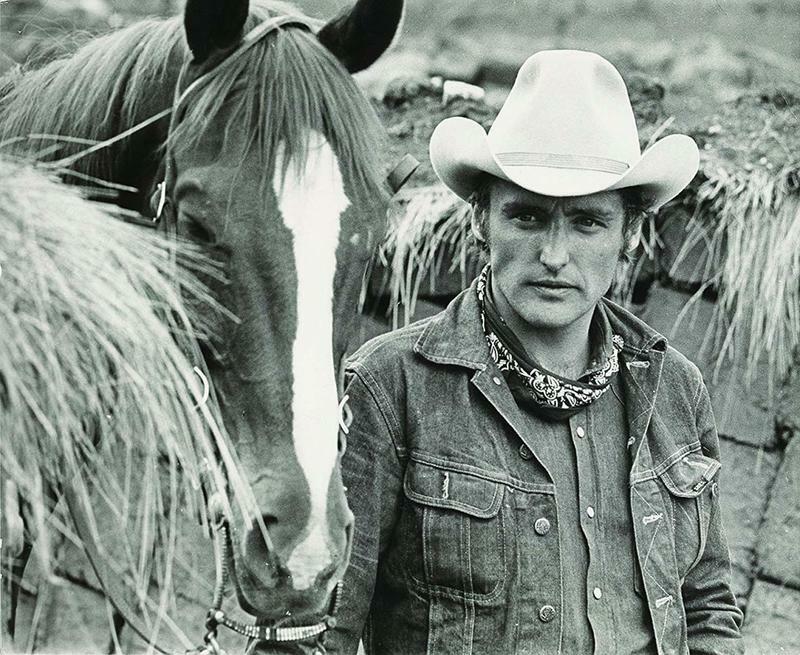 Dennis Hopper was born in Dodge City, Kansas on May 17, 1936. His mother, Marjorie Hopper, managed the local swimming pool while his father, Jay Hopper, worked for the Railway Mail Service. Hopper went to live on his grandparent's farm after his father joined the military during World War II. When his father returned, the family moved to Kansas City, Missouri. It was there that Hopper developed an interest in art and drama after enrolling in an art class at Nelson Art Gallery. The family moved yet again in 1949, this time to San Diego, California, due to his brother David’s asthma. 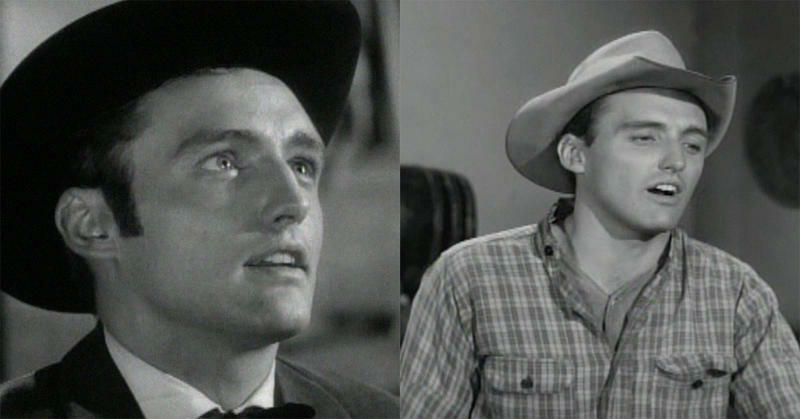 Hopper’s acting career began in 1954 when Ruth Birch gave him a small role in a television series called Cavalcade of America. This was followed by a featured role in the episode entitled “Boy in a Storm” of the television series, The Medic. Hopper received offers from several major studios after this role and ended up signing a seven-year contract with Warner Brothers. 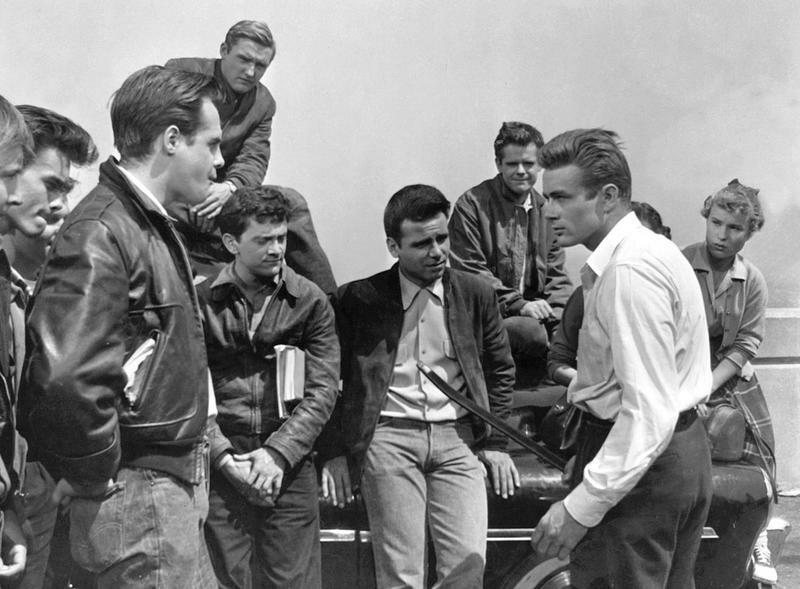 He received a small role in the 1955 film, Rebel Without A Cause, and developed a friendship with fellow actor, James Dean. In addition to being a mentor in the acting industry, Dean also supported Hopper’s other artistic endeavors which included photography and directing. The two remained friends and worked together once again in Dean’s final film, Giant (1956), which concluded filming just days before Dean’s death in a fatal car crash. Throughout the late 1950s, Hopper appeared in several television series, including The Rifleman and The Wagon Train. Though still under contract with Warner Brothers, he was “loaned” to 20th Century Fox in 1958 to appear in the western, From Hell to Texas; however, disagreements with Henry Hathaway, who directed the film, caused Hopper to lose the contract with Warner Brothers. He then moved to New York, where he studied acting under Lee Strasberg while also working on his photography. He appeared in some television series before returning to Hollywood in 1959. In 1961, he won first place in an international photography competition in Australia. Around this time, Hopper married Brooke Hayward and they moved to Bel Air, California after the birth of their daughter Marin the same year. In the early 1960s, Hopper also expanded his presence in the art world, focusing on black and white photography. 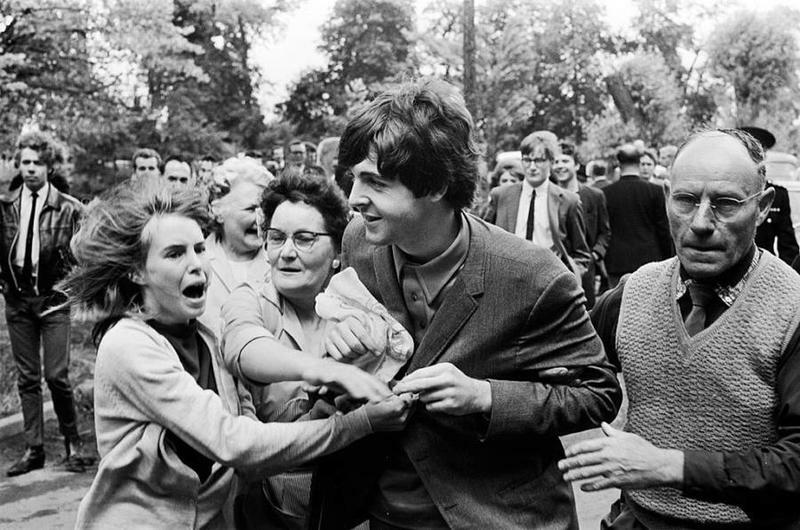 His first solo exhibit was at Primus/David Stuart Gallery in Los Angeles in January of 1964. Hopper made the transition from TV actor to movie star in 1967, with roles in a trio of films that reflected American society at the time. The most durable of these movies was Cool Hand Luke, an all-time classic that starred Paul Newman, in which Hopper played a quirky minor character by the name of Babalugats. Although Cool Hand Luke was set in a prison in the rural South, it captured a resentment of authority that was bubbling under in the mid-'60s. In two other 1967 films, both directed by Roger Corman, Hopper explored the then-sensational biker-gang culture (The Glory Stompers) and psychedelic drugs (The Trip). In 1967, Hopper attempted to produce The Last Movie, which he wrote with Steward Stern. The project was tabled due to a lack of financing, so Hopper moved on to other projects. 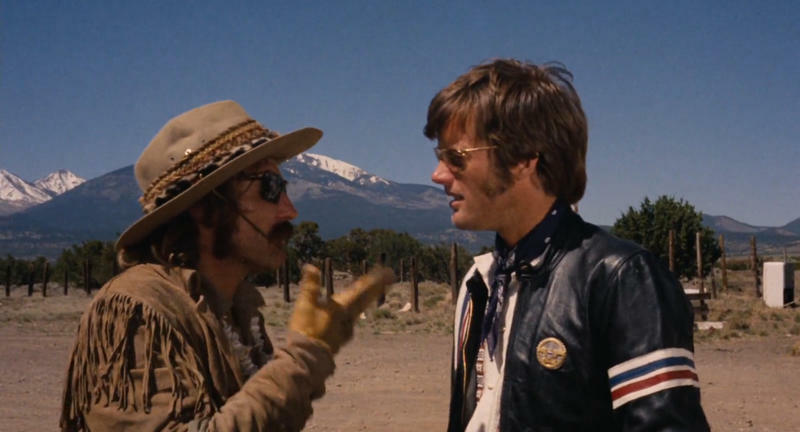 Hopper achieved his greatest success in 1969 with the biker film, Easy Rider, which he directed, and co-wrote with Peter Fonda and Terry Southern. 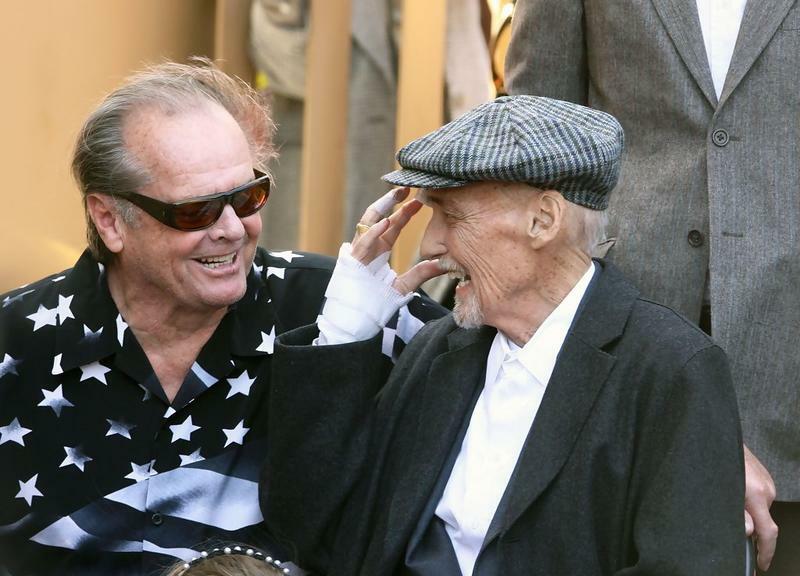 He also co-starred in the film with Peter Fonda and Jack Nicholson. Nicholson won an Academy Award for Best Supporting Actor while Hopper, Fonda, and Southern won for Best Original Screenplay. The Last Movie Was Supposed To Be Hopper's Masterpiece. Was It? After the success of Easy Rider, Hopper returned his attention to The Last Movie. The film was completed in 1971; however, it was not received well. As a result, Hopper fell into a dark period of drug and alcohol abuse. Many years since its release, The Last Movie has earned some of the respect that eluded it back in 1971. A recent appreciation of the film by The Village Voice called it "a critical, financial, personal, and possibly even spiritual catastrophe that with each passing day feels more like a masterpiece." During this time, Hopper married for a second time - this time to actress Michelle Phillips. The marriage ended after only eight days. 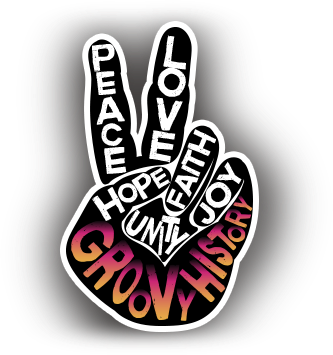 In 1972, He married Daria Halprin and their daughter was born the following year. 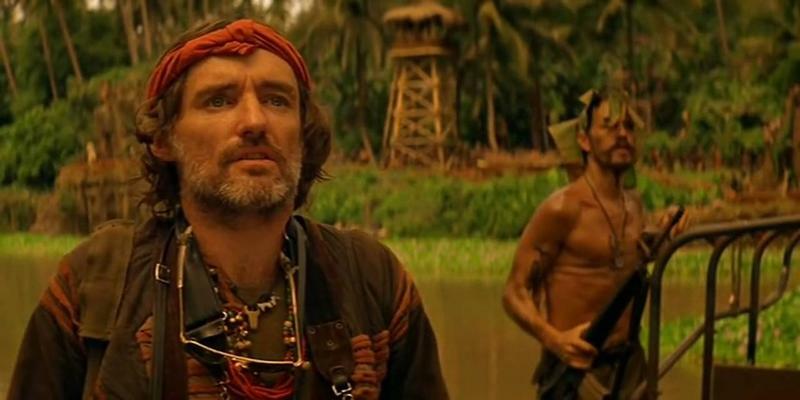 In the 1979 Vietnam movie Apocalypse Now, directed by Francis Ford Coppola and starring Martin Sheen and Marlon Brando, Hopper gave his most memorable performance since the '60s. He played an unnamed photojournalist whom Willard (Sheen) meets as he's nearing the end of his quest to find the renegade officer Kurtz (Brando). The Photojournalist's manic dialogue was improvised by Hopper, who drew on his own knowledge of literature and miscellanea to create a truly memorable and puzzling character. Hopper reunited with Francis Ford Coppola when he appeared in Rumble Fish (1983), based on the novel by S.E. Hinton. 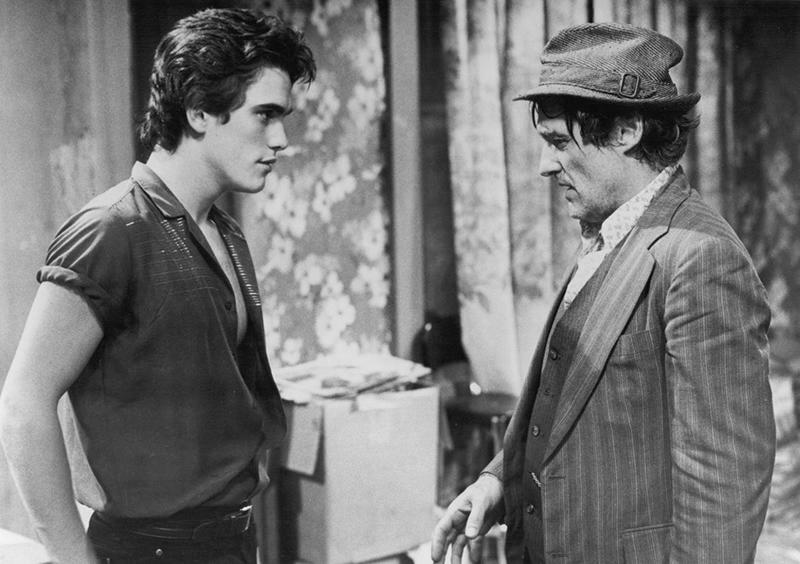 He played the alcoholic father of Matt Dillon and Mickey Rourke. The character was a template of sorts for some memorable performances in the years that followed. 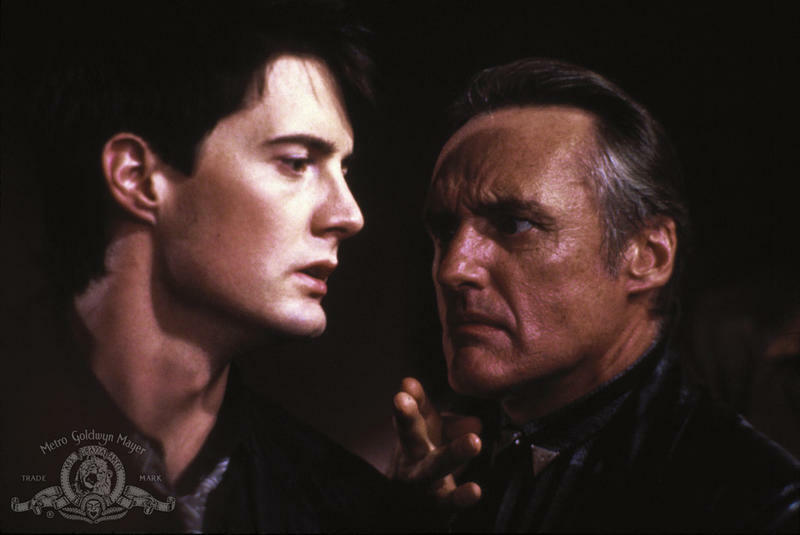 Three films released in 1986 made Dennis Hopper -- once again -- a household name. By this time, he was better known as Hollywood's wildest wildman than as a working actor. 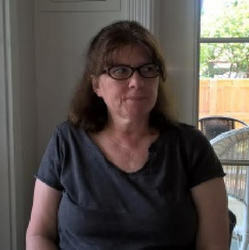 His unhinged portrayal of Feck, a dangerous father figure to wayward youths in The River's Edge, moved Janet Maslin of the New York Times to declare, "For better or worse, Mr. Hopper is back with a vengeance." In Hoosiers (1986), Hopper again played an erratic, alcoholic father. One of the greatest sports films of all time, Hoosiers told the story of an ex-college basketball coach who takes a job at a tiny high school in Indiana. 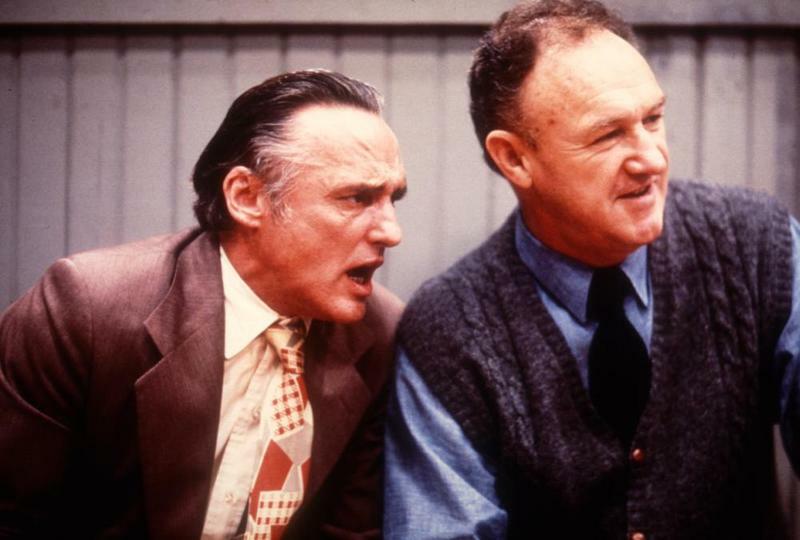 Coach Norman Dale (Gene Hackman) hires Shooter (Hopper), the troubled father of one of his players, to be his assistant coach. Hopper's portrayal of a flawed and weak man with a good heart charmed critics, and earned him his second Oscar nomination. Critic Janet Maslin had been right -- in 1986, Hopper was indeed "back with a vengeance." Dennis Hopper developed an interest in painting during the '80s, and revived his photography career with multiple solo exhibits. 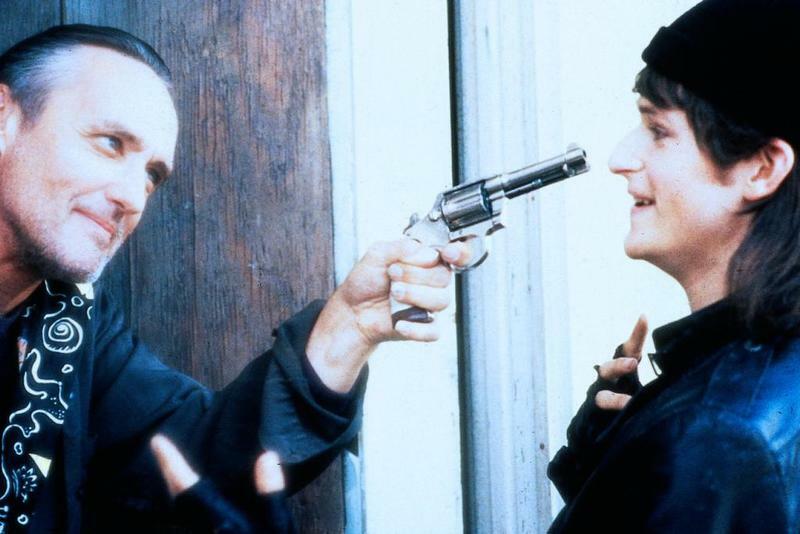 In 1988, he directed Colors, which starred Sean Penn and Robert Duvall. In 1989, he married his fourth wife, Katherine LaNasa, with whom he would have a son, Henry Lee, before their divorce in 1992. Hopper continued his film work in the 1990s, directing The Hot Spot (1990) and Chasers (1994) and starring in several films including 1994’s Speed while continuing to exhibit his artwork. In 1998, he received the George Eastman Award for his work in film and art. In the early 21st Century, he had roles in films, such as The Keeper (2004) and 10th & Wolf (2006) and appeared on the hit television series 24 in 2002. He also began working with digital photography. His fourth child, Galen, was born in 2003 to his fifth wife, Victoria Duffy. He continued to work in film and television, starring in the Starz original series Crash (2008-09) until announcing in October of 2009 that he had been diagnosed with prostate cancer. He disappeared from the spotlight, reappearing briefly when he was honored with a star of the Hollywood Walk of Fame on March 18, 2010. 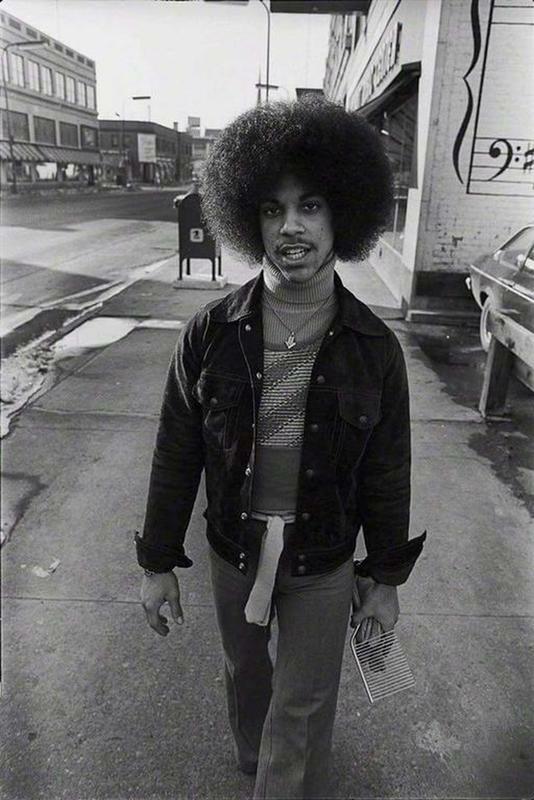 He passed away on May 29, 2010, at the age of seventy-four.